Discussion in 'For Sale' started by dunf, Mar 17, 2019. 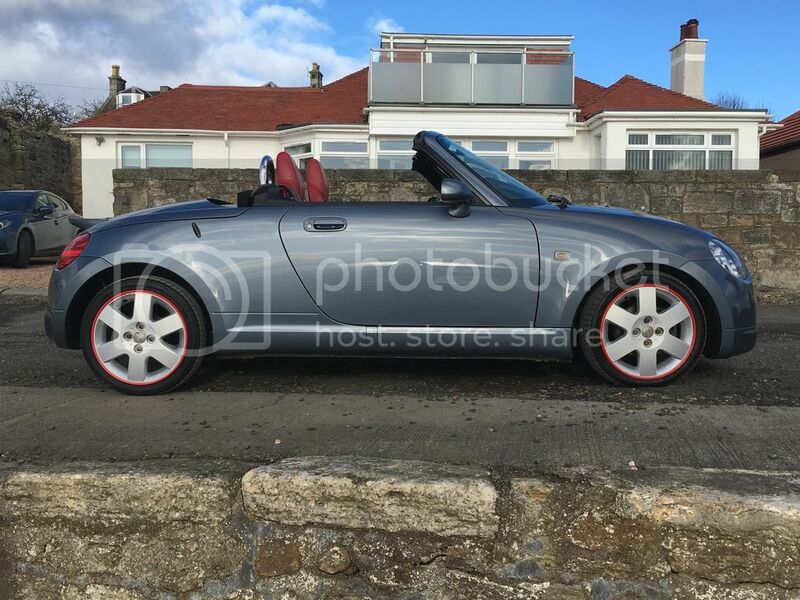 For Sale - our 1.3 Copen. 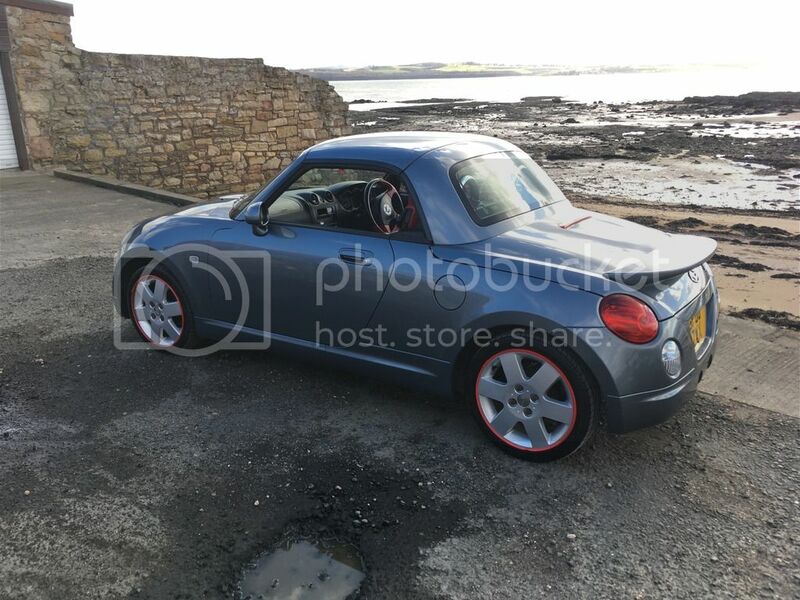 We have owned this car for over 5 years and will be sad to see it go but new car forces sale. Its only done just over 62k miles. Full service history. Just been serviced again and a full MoT put on so you can buy with confidence. 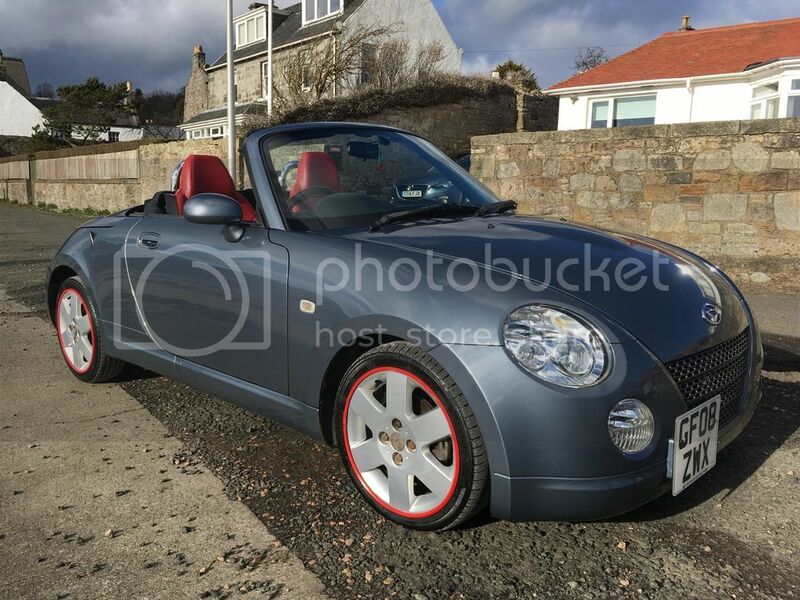 Red leather interior, heated seats, air-con, electric windows, CD player, and the best bit by far - the electric folding hard top convertible roof! How did you get that rather cool red rim on the wheels?